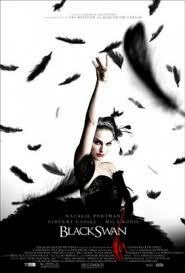 Sunday was my birthday and I decided to see the movie Black Swan as part of my "ME" day. I don't think I can remember any movie recently that has created more controversy among my social network. I have heard everything from, "It's amazing, you have to see it!" to "It's really cliche!" I fall soundly on the side of amazing. life. Experiences in the outside word are limited and they live with very little exposure to how the "normal" world functions. Attracting the attention you need to succeed in any field is difficult and other competitors are knocking at the same doors. Add to the mix a person who is obsessive by nature; a parent who is trying to live out their dreams through their child; a teacher, coach and/or mentor who is trying to build their reputation; and you have Black Swan. 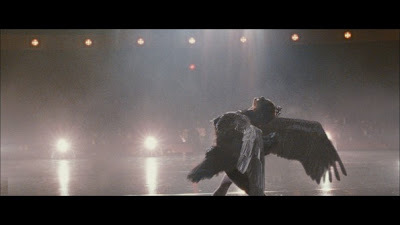 While I don't think anyone could have been harder on this dancer than she was herself, Black Swan also portrayed the additional pressures that rained down from both her mother and her choreographer. If you have ever had a kid play sports, dance, sing or act, you're familiar with the parent. I remember one mother who's son was cut from the rep hockey team that tried to turn the house team into something it was not meant to be. When I called her on it, she told me my son shouldn't play hockey as we weren't serious enough. DOH! That's why we were in house. Another time I had a parent of a serious ballet dancer look at my daughter who was 5'8" and extremely skinny at the time, eye her up and down, and declare loudly, "My god she's big!" An interesting term for a girl who looked like a pencil drawing and unnecessary as my daughter was only dancing recreationally. The teachers I worked with related untold stories in private of dealing with pushy parents determined to make their kids a success. I can only imagine how this affected their son/daughter. Parents that can provide balance and total acceptance are the greatest gift any talented child can have and fortunately I think they make-up the larger percentage. Teachers, coaches and mentors - another story, but with the same theme. In Black Swan they focused on the way the choreographer inappropriately used sexual references and advances to try to get the dancer to break out of her perfect dancing and bring emotion into the mix. I absolutely do not condone this. At the same time, those wanting to reach the top in their fields are looking for someone to push them beyond where they are now - driving them relentlessly is often assumed to be a needed part of the mix. Those responsible for their training are to be slave masters, hand holders, psychologists and more than anything get results. Their reward - status, money and new opportunities. Do some cross the line? You can be sure of it. Worse than anything, I think it is often expected it of them. Everyone wants to be the best and some are willing to pay any price to get to the top. I can only say bravo to the teacher/coach/mentor who finds a way to balance it all in a healthy way and produce a top level artist/athlete with their feet firmly on the ground. At some point, these talented individuals all have to move into the real world and they need to have the skills to do this. The other part of this movie that I personally enjoyed was the way I was drawn in to her growing insanity. It was a visceral experience. The camera that followed her would be hand-held at times, giving the film a choppy feel that added to the emotion of the moment, letting you feel her tension and distress. The sound of her breathing was placed strategically in the background noise during tension filled moments. You felt you were inside her head listening - in, out, in, out. Her struggle to achieve became a physical sensation for the audience. The special effects where she began to hallucinate she was turning into the Black Swan were blended in perfectly at the right time. They all built to the moment when she took her bow to thunderous applause, believing she had large wings extended behind her. To me this was the emotional climax of the movie. Everything after was simply the closing paragraph. To those that want to see this movie, do not wait for it to come out on DVD. You really need the big screen and the great sound system to be drawn into her increasing delusions. It honestly can not have the same effect at home on TV. Also, remember that some people truly did not like it. You will bring who you are to the movie and how you experience it will be personal. For myself, I thought it was brilliantly done and I hope at least a few parents, coaches and mentors will see themselves and keep an eye out for that exceptional, but obsessive artist/athlete in their care. We want them to achieve great heights, but not at the cost of their sanity.